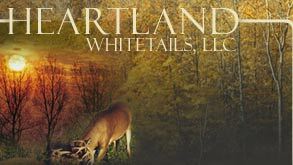 Contact Heartland Whitetails at hunt@heartlandwhitetails.com, 1-888-401-3855, or 309-371-3825 to check for week availability. Complete and mail the Goods & Services Sheet to confirm details of your hunt. All hunters must complete this sheet. Print, complete, and send the Hunting Agreement & Liability Waiver to Heartland Whitetails L.L.C., 299 140th Street, Avon, IL 61415. All hunters must complete this. Make future payment arrangements for $500 due on or before April 1 and the remainder of the balance due on or before August 1.